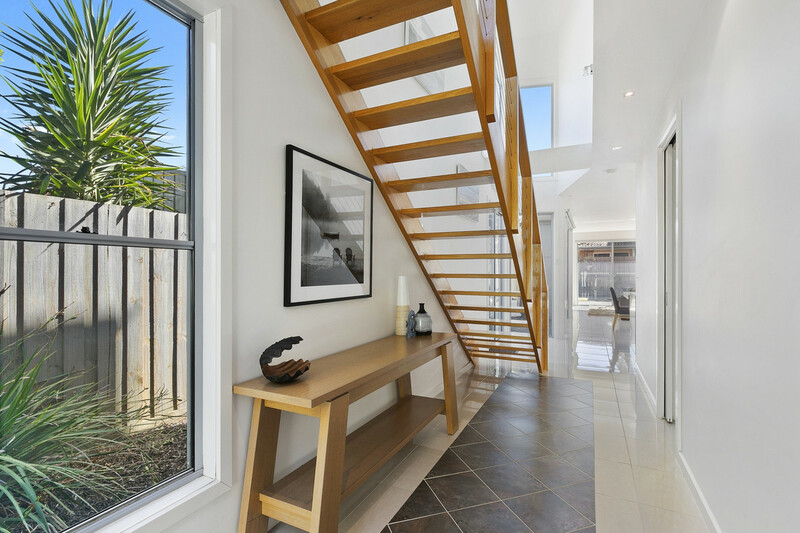 This modern coastal residence provides seclusion and privacy whilst delivering an unbeatable position. 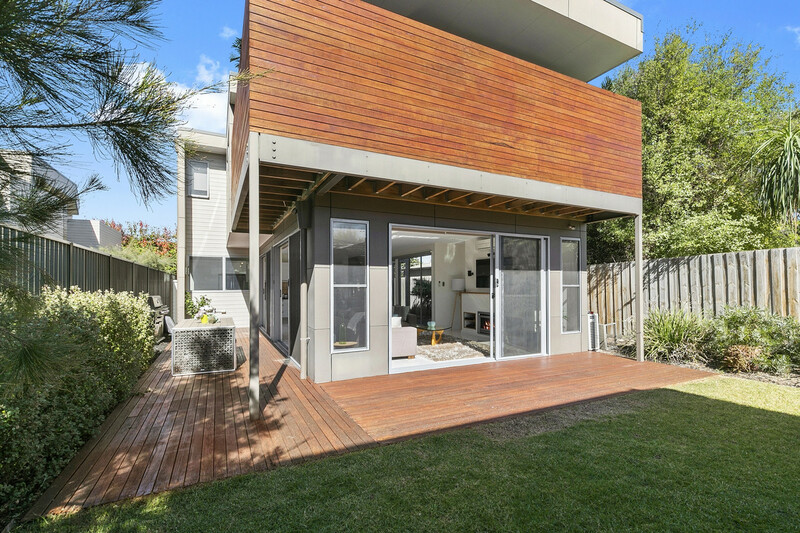 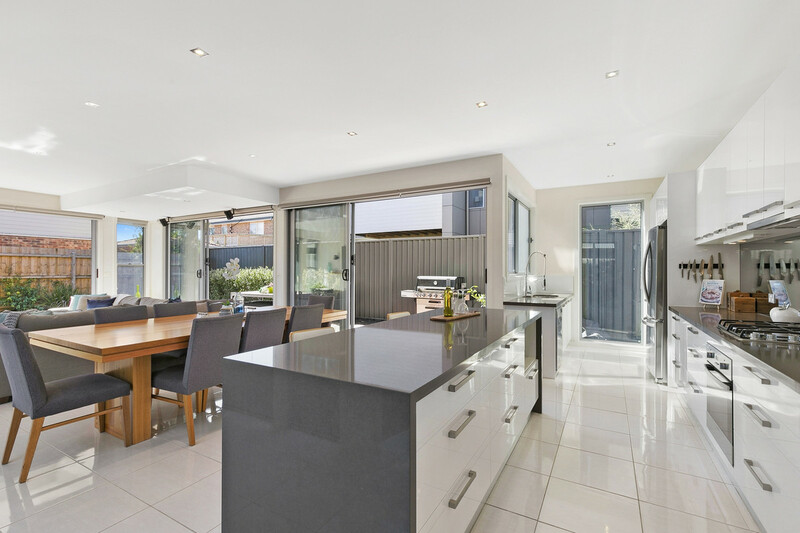 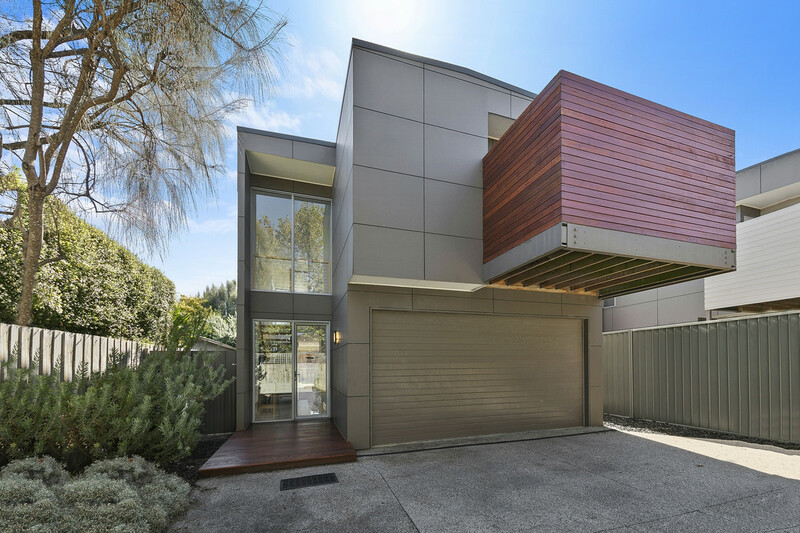 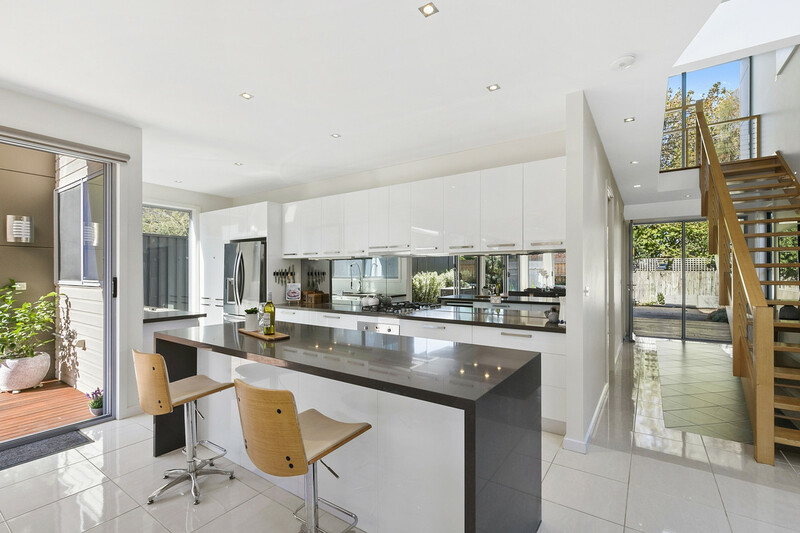 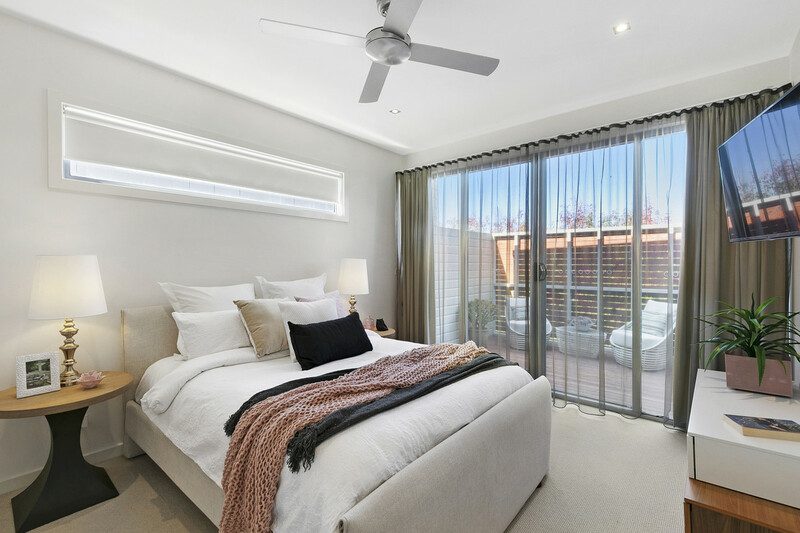 The clever design of this distinctive and modern two storey home emphasises generous flowing spaces to make the most of living and entertaining whether it be indoors or out with access down your own gated driveway. 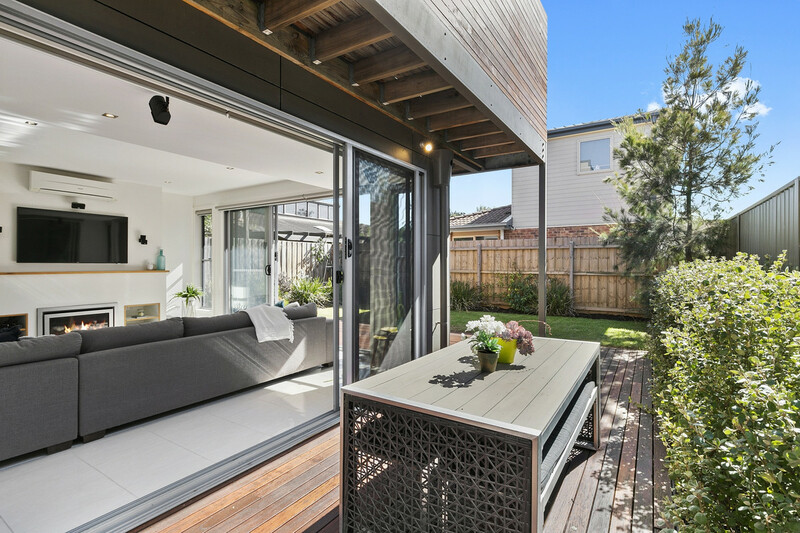 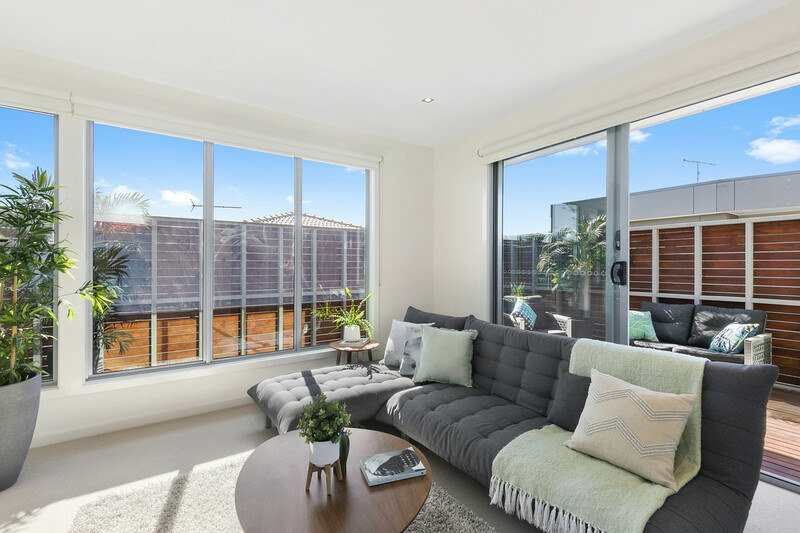 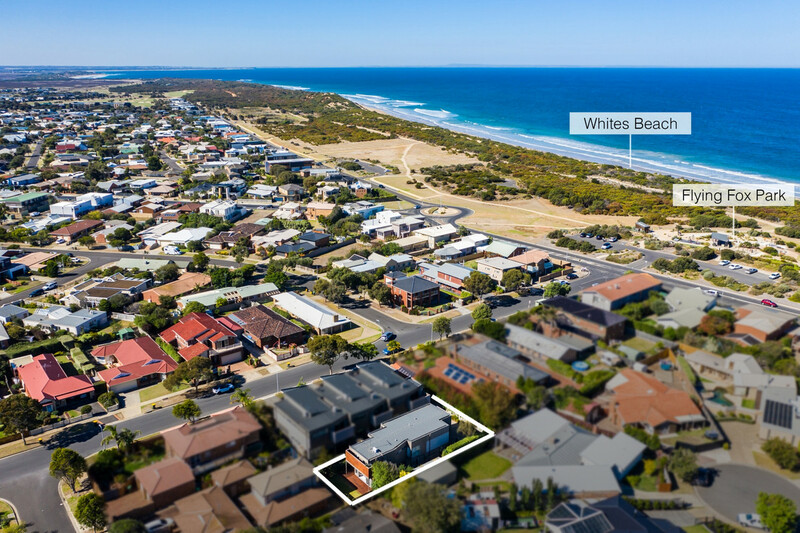 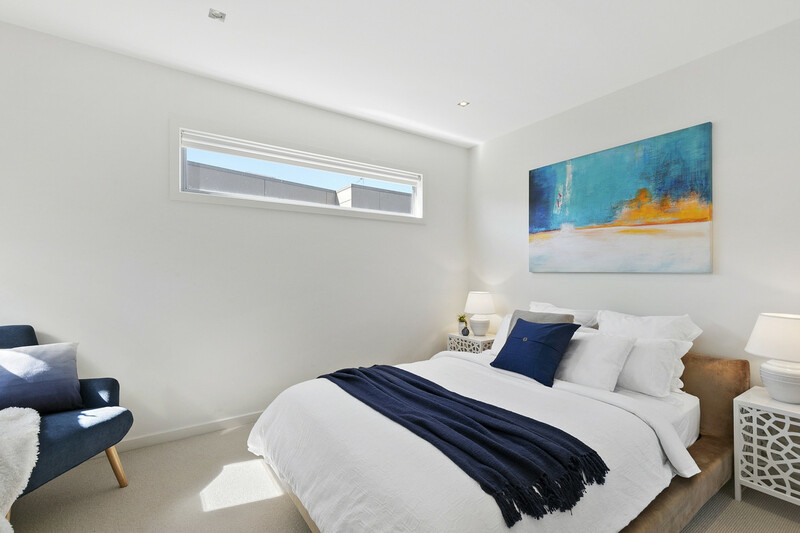 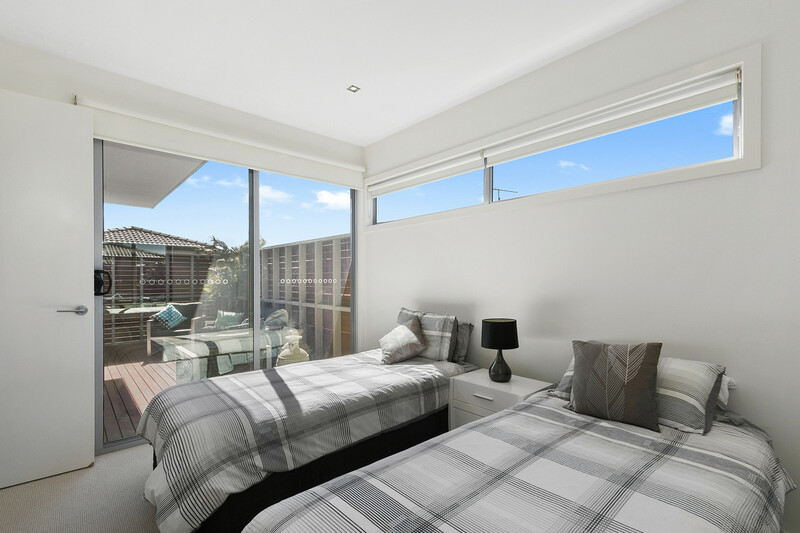 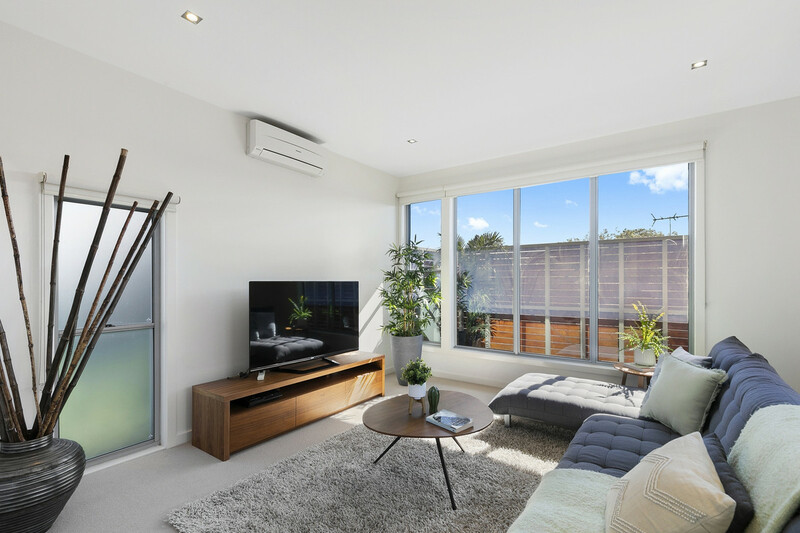 The convenient location delivers a quality, low maintenance lifestyle, being only metres from the family friendly Whites Beach. 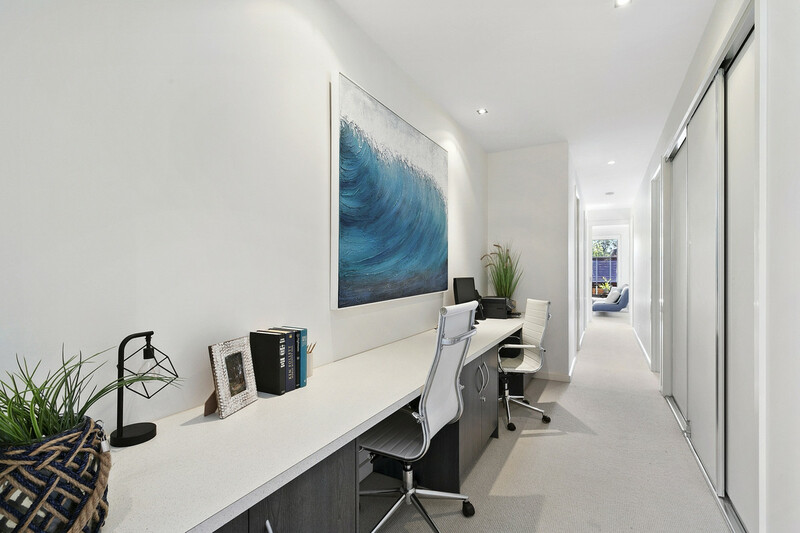 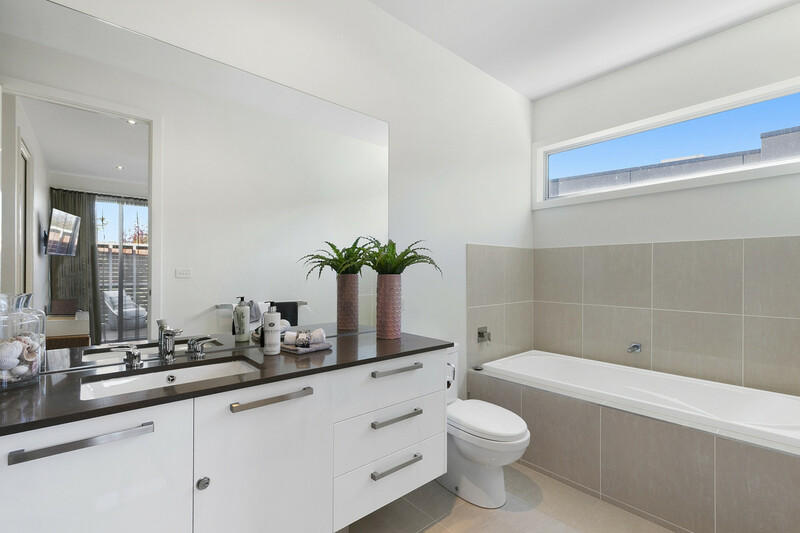 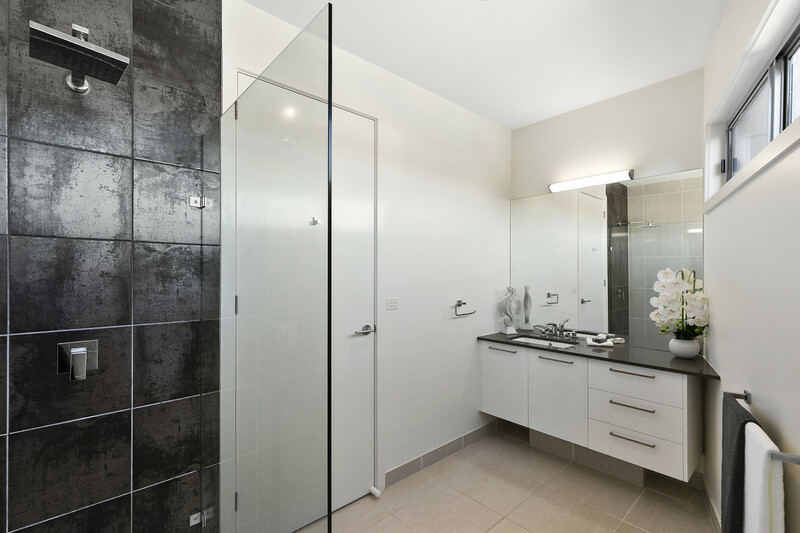 Upstairs, is a wide walkway incorporating a sizeable study station, separate powder room, three bedrooms, master with oversize walk-in-robe, a full ensuite with a bath and the luxury of your own private balcony. 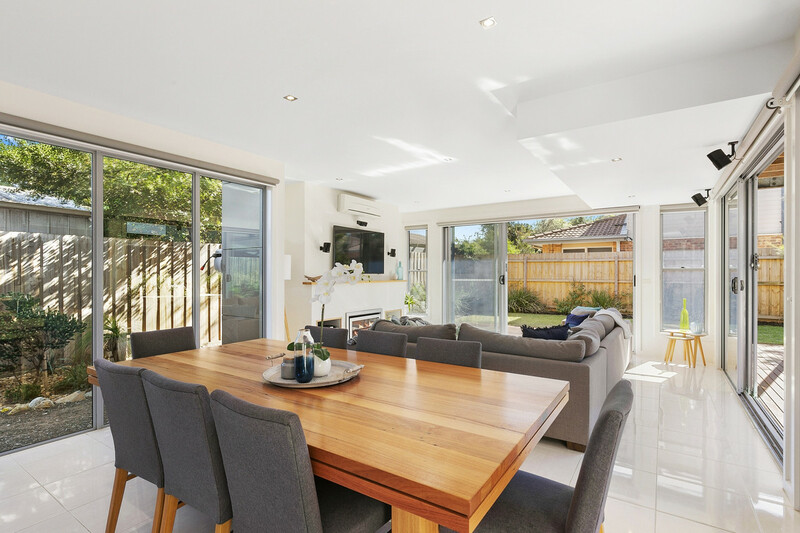 A private rumpus room leading onto the upper level entertaining deck completes this impressive part of the home and offers yet another area to escape, enjoy and relax. 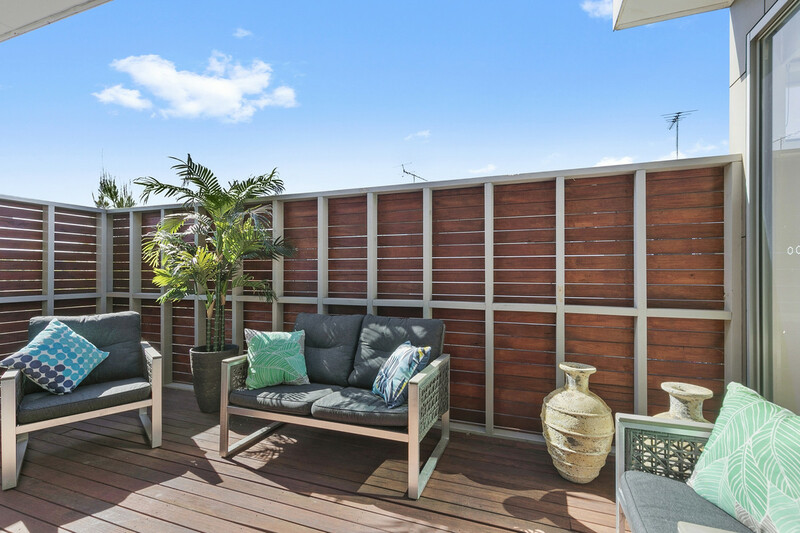 The lower level boasts a large, open plan living zone with the kitchen offering multiple work spaces, stone bench tops, quality appliances and stacker doors fully opening onto the large entertaining deck that wraps around the bottom level. 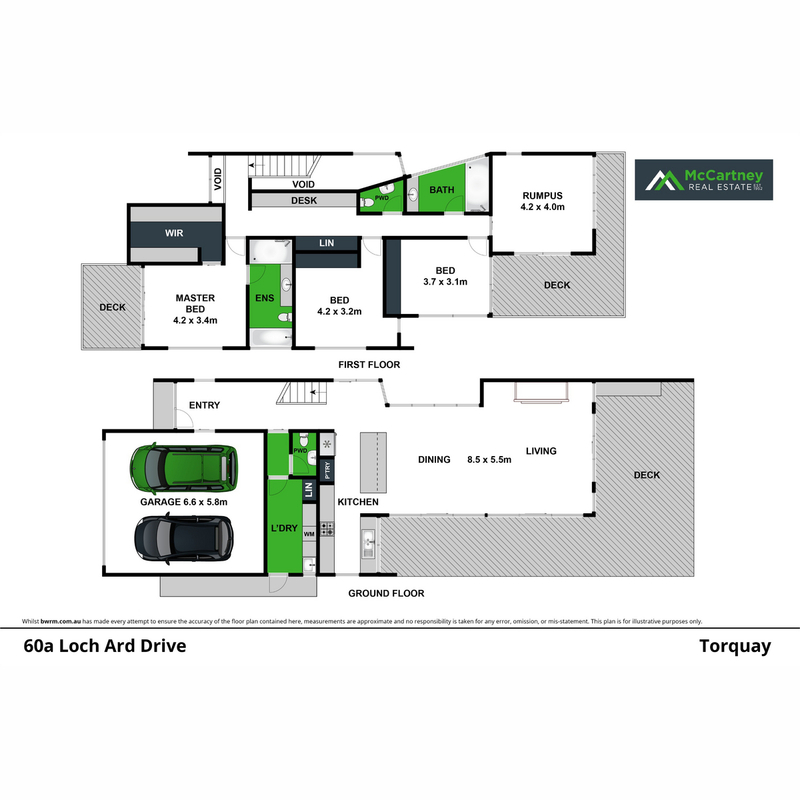 A sizeable laundry with loads of cupboards / storage, separate toilet and remote-controlled double lock up garage with internal access completes this faultless floor plan. 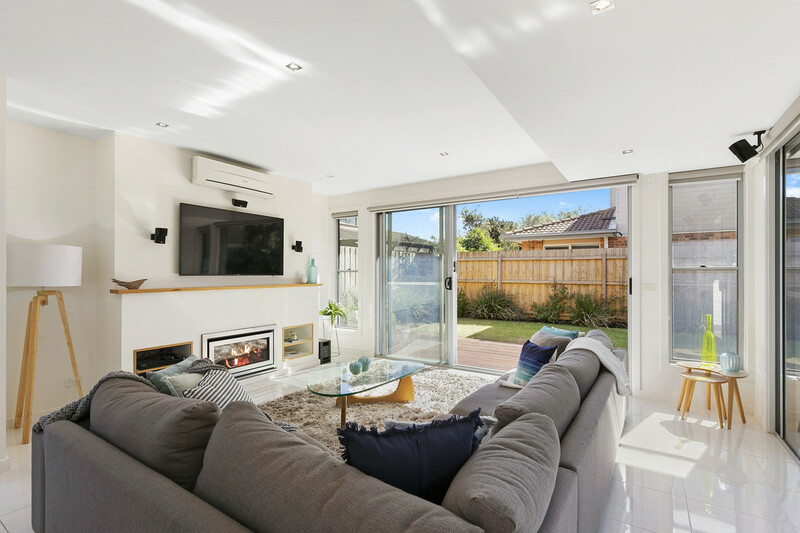 Other features include: Cosy gas log fire, panelled heating, reverse cycle cooling, electric blinds, great storage, a private driveway with automated gate, water tank, established low maintenance gardens, transport at your doorstep and so much more. 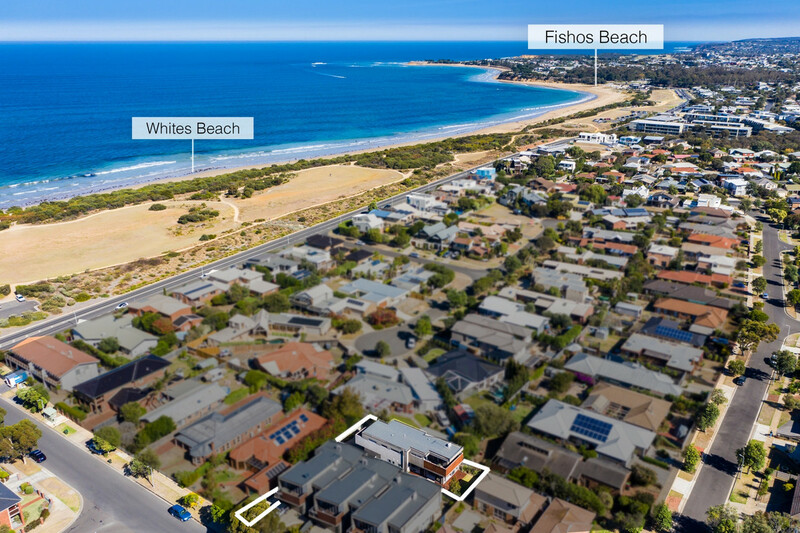 This is your opportunity to own a well appointed home of generous proportions and be one of the many people currently enjoying the beachside lifestyle on offer in this superb location.